If you have found any posts that Sneaky Ninja has voted on that violate my Abuse Policy (Found here) then you may be able to take advantage of my special offer. Leave the url of the post in comments below. If it results in the post you have left a link to having its vote pulled you will receive 25% of whatever the bid amount of the post is. If this abuser has bid $4, you will receive $1. Please keep in mind that the abuser must be violating Sneaky Ninja's Abuse Policy and not already had it's vote pulled to be credited. Please only use this post for dropping off abusive posts. Single image post. With no words. Unless I've read your abuse policy wrong, I believe that this is in violation of Rule 3. #3 Single photo posts without supporting information. All photography posts should have location, lighting and a description of why, how and where you took the photo. Photography is an art. Those that take it seriously know this and will present it as such. I think that it's hard to imagine that it's worth the $42 upvote @sneaky-ninja gave him. Not the mention the combined $339 that he got with the other bid-bots. Thank you for your response, and holding to the rules that you have set forth. Come on ninja, We know you're sneaky but at least follow your own rules. @michaeldavid is @sneaky-ninja going to reply to this obvious violation of the abuse policy??? It's been nearly two days. WOW @sneaky-ninja, Well I'm really sad to see that your attempt to "combat abuse" of your bid bot is seemingly nothing more than smoke and mirrors. I thought that maybe you actually were trying to prevent people from abusing these services. But being that you had ignored the first valid reporting on your post titled "Place abusive posts here," is sort of telling. I hope you have a good day. Either way, I'm sure that it will make a nice story. It's not smoke and mirrors. It is just very hard to hire good dependable people is all. I will be back on target very soon. No, it's absolutely not worth the vote I gave him. Unfortunately I'm traveling and I've had some personnel issues lately and have been pretty behind on the abusive posts. I did not have time to get on steemit until now. This post was definitely in violation of my policies and he has been added to my watch list. Well, thank you for replying. I'm sorry to hear about you having issues with your employees. I know that my opinions may be of little consequence to you(And in this circumstance, is impossible due to poor employee follow through. ), but putting someone on a watch list while continuing to allow them to buy votes, doesn't really seem to have much of an effect. Wouldn't putting them on a watch list and removing there vote, send a much clearer message? It's pretty clear that you tell people to read your rules prior to voting, if they can't be bothered to do that(and follow your rules), and they lose their vote, this is on them. I believe that this practice would very quickly eliminate Abusive vote buyers from your services. If you were to actually due this, and reward those who reported it. 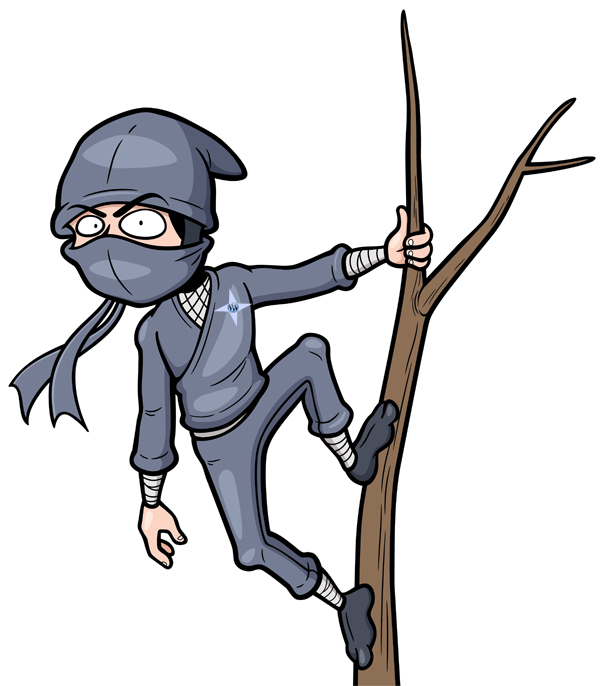 Like this post indicates I think that it would merely be a matter of weeks before spammers and would be abusers along with the rest of Steemit would get the message that @sneaky-ninja is not a service for abusers. If you did this, it would very much strengthen your stance in regards to the cat and puppy situation. But where things currently stand it's hard for the rest of us to see that you are in fact fighting abuse. I don't mean to come off all hard on you, but I believe that you are a business man. So I don't see the point in sugarcoating things for you. In the short term you will lose some business, but it would only be spammers and abusers(according to your rules) that would stop using your services. But It would be a huge step for your PR. No one would be able to say that you are not actively combating abuse. Where it stands now it seems like it was more of a facade than an active battle. I do want to thank you for at least having an abuse policy, that's more than many of the bid bots can say. I just think that if it was clear that it was actively enforced, with some community support you could be a shining star in the bid-bot realm. Thanks for your time. I would appreciate any response you are able to afford me, even if it's like; "No I think your dumb." I hope that your travels where enjoyable. Not everyone that breaks the rules is meaning to. Some of them have not figured out what makes a good post yet. Many of these posters are not at all abusers they are simply confused how this place works. So using the watchlist system shows them fairness and assists them in learning how to write good posts. I want to be fair and give anyone that is willing to change what they are doing to do that. If someone is clearly violating my policies for abusive reasons and it does not seem like they may want to do better I just blacklist them and remove votes if there are any without sending them to the watchlist. so, if a person looks as though they might change what they are doing they go to the watchlist first. This way I'm not just attacking good steemians that simply have not figured out what type of posts are wanted here. it acts as a way to help clean up the abuse by teaching people in the process to do better while giving them that chance to do so. They only stay on the watchlist for 1 week before being blacklisted if they don't shape up and many of them do not. The average person coming to this platform has no idea what to post and for many of them it really takes time for them to get it. I really believe that doing it this way is for the better good of the platform. If all of the people that did not know what they were doing wrong were just blacklisted they would simply start leaving the platform and never learn how to do things right. I've already noticed tons of accounts that have started making much better posts after being on the watchlist. Also, there is nothing that is going to strengthen anything at all with the cat and puppy. He's not even interested in helping the abuse issue. there is no reasoning with the guy. He's just an extortionist/theif that needs stopped. That's all. Lastly, once the team is back up and running smoothly it will indeed be apparent how it is being enforced. We've stumbled some and I 'l be making a post about it soon. I look forward to seeing this in action. Thank you for the reply, while I'm sure that we won't be able to agree on all points, I very much appreciate bid bot owners doing their best to minimize abuse. I hope that we can prevent more of this abuse before to many new and old users alike, decide that this site isn't worth using. But this is right move! Carry on, sneaky! Really nice initiative, someone needed to start to at least try to do something to reduce abuse with a different approach. How are you gonna manage the watch list? Would you be posting it regularly or something like this? I mean, as you say someone maybe do something wrong by mistake, I think that this person should be able to know that you have them in a watch list. I will be posting the watch list weekly like this. I will also be leaving post comments for anyone on the watchlist so they know about it like this. This should give ample awareness. sorry first master @sneaky-ninja when my arrival disturb your peace. 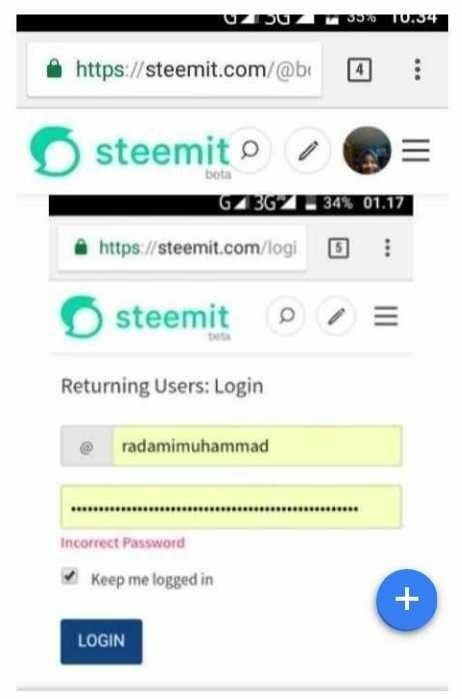 master, I need the help and direction of all the masters of steem, is there any hope to return such an account above.saya please information, and more directives.karena my account is hacked by people I do not know. my master please help and direction. if your account has been hacked you need to do an account recovery. you can find this from any page on steemit if you click the hamburger icon in the top right corner of your screen. You will need to have your master key or you will not recover. great to know, thanks @sneaky-ninja. I like that this is sitting here, just in case. Whilst intending that my steem world is only full of smart, sassy, provocative, challenging and positive creative content. Kudos for the initiative. First and foremost, I commend you on the reasonable abuse policy. I have found a user that seems to be apparent violation of bullets #4 Short Text and #12 Overuse of Bots. I have noted them on another post and they are also misusing / abusing the photography tag. Your attention to this matter would be greatly appreciated. Thank you. I will be looking into this guy. Sounds good. Will be on the lookout. Noob question: how can I see this? The dmania ones are blocked automatically and do not get voted on. they get their money returned with a message saying "id is invalid - This post contains the [dmania] tag which is not allowed by this bot." So, to answer your question. I get a daily list of abusers and ones to watch from @steembotcleaners. When i get it, I start pulling votes from the ones that are necassary to pull. The pulling of votes starts on bids coming in today on. So the offer would be on posts that have bid today or after (3-25-18) That I have not pulled my vote on. Ok, good to know. (I had fun anyway during my research 😉). I appreciate your efforts to clean the community. Keep it up! Hope you're still doing this. Thanks, ive added him to my blacklist.